Dec. 18, 2013 - As interest grows in how attitudes, skills, and character traits, such as grit and perseverance, contribute to a young person's long-term success, The Wallace Foundation is awarding a grant to the University of Chicago Consortium on Chicago School Research (UChicago CCSR) to synthesize what is known about these factors and to create a conceptual framework that addresses how students develop them. The $650,000 grant, secured in a competitive bid against five other research organizations, will enable UChicago CCSR to analyze existing research and expert opinion to create a framework that clarifies what is known and unknown about how these traits, which researchers have termed "noncognitive" factors, contribute to college and career success. Examples include persistence, self-control, conscientiousness, grit and self-confidence; behaviors and beliefs such as attitudes toward school, goal-setting, and study habits; and inter-personal relationship skills. Researchers plan to publicly release a final report in fall 2014 about the key insights. "Young people need to develop capacities far beyond the ability to score well on standardized tests," said Hilary Rhodes, senior research and evaluation officer at Wallace. "There is growing interest in this topic, and yet rigorous research lags behind its popular appeal. With this project, we hope to learn more about which 'noncognitive' factors contribute substantially to college and career readiness and how they are best developed. Such insights will be useful to practitioners, policymakers, researchers and other funders and will help guide Wallace's efforts to make a difference in the lives of disadvantaged children." The project will proceed in three phases: In Phase I, researchers will identify the key categories of noncognitive factors related to students' success in college and the workplace, define how these key factors enable success in young adulthood, and highlight how these factors may differ among youth from different backgrounds. In Phase 2, researchers will examine how these key noncognitive factors are shaped at home, school, and after school and by different background experiences. They also will highlight promising strategies for developing these factors across these three critical contexts. The focus will be on four developmental stages: early childhood to the primary grades, elementary to middle grades (grades 3-8), high school, and entrance to adulthood. During each of the first two phases, the researchers will conduct literature reviews and interviews with key experts and develop white papers to inform discussions during expert convenings in spring and summer 2014. In addition, researchers will develop case studies of children and young adults to ground convening discussions in real-world situations. In Phase 3, researchers will synthesize insights and observations from the previous stages into an overarching conceptual framework, gathering feedback and publishing a final report next fall. "We appreciate the Wallace Foundation's commitment to research that helps improve opportunities for youth and are grateful for the opportunity to move our work on noncognitive factors into the next phase," said Jenny Nagaoka, deputy director of the University of Chicago Consortium on Chicago School Research and principal investigator of the new research project. "Through this work, we can consolidate the current understanding of how these factors can be fostered in schools, homes, and communities from early childhood to young adulthood and lead to success in college and career. We hope that this provides policymakers and practitioners greater coherence in their efforts across the different stages and contexts of children's lives." Two 2012 publications captured widespread interest in noncognitive factors. In his bookHow Children Succeed Grit, Curiosity, and the Hidden Power of Character, Paul Tough argues that the qualities that matter the most for success are: perseverance, curiosity, conscientiousness, optimism and self-control. CCSR's report, Teaching Adolescents to Become Learners, provides a framework that consolidates the research evidence on five categories of noncognitive factors related to academic performance: academic behaviors, academic perseverance, academic mindsets, learning strategies, and social skills. "Children struggle in school for many reasons, including a lack of skills that can be taught and attitudes that can be fostered," said Rhodes. "This project will help us understand how to translate current research into strategies that will enable more children to succeed in school and in life." 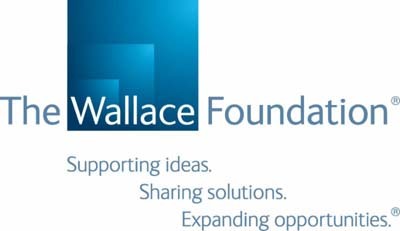 The Wallace Foundation is an independent, national foundation dedicated to supporting and sharing effective ideas and practices that expand learning and enrichment opportunities for children. 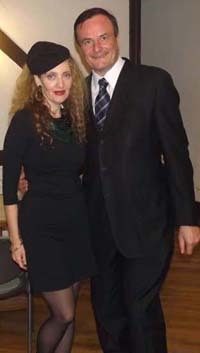 The Foundation maintains an online library of lessons at www.wallacefoundation.org about what it has learned, including knowledge from its current efforts aimed at: strengthening educational leadership to improve student achievement; helping disadvantaged students gain more time for learning through summer learning and through the effective use of additional learning time during the school day and year; enhancing out-of-school time opportunities; and building appreciation and demand for the arts. The University of Chicago Consortium on Chicago School Research (CCSR) conducts research of high technical quality that can inform and assess policy and practice in the Chicago Public Schools. We seek to expand communication among researchers, policymakers, and practitioners as we support the search for solutions to the problems of school reform. CCSR encourages the use of research in policy action and improvement of practice, but does not argue for particular policies or programs. Rather, we help to build capacity for school reform by identifying what matters for student success and school improvement, creating critical indicators to chart progress, and conducting theory-driven evaluation to identify how programs and policies are working.